Color is a crucial element in any interior design project, whether you’re packing it in or playing it safe. Color has the ability to play with our emotions and have a major effect on our moods and how the atmosphere of our rooms make us feel.Dark colors will probably add moodiness or intensity to a room, whilst sticking to lighters hints at calmness and an airy atmosphere; the trick is to find the perfect balance for you and your home. You can also play with warm and cool tones, deciding if you want warmer colors like pink, red, and orange, to dictate a very passionate, intense, and communicative home, or if you want to be supported by the relaxing, calming, and collective properties of cooler colors like purple, blue, and green. 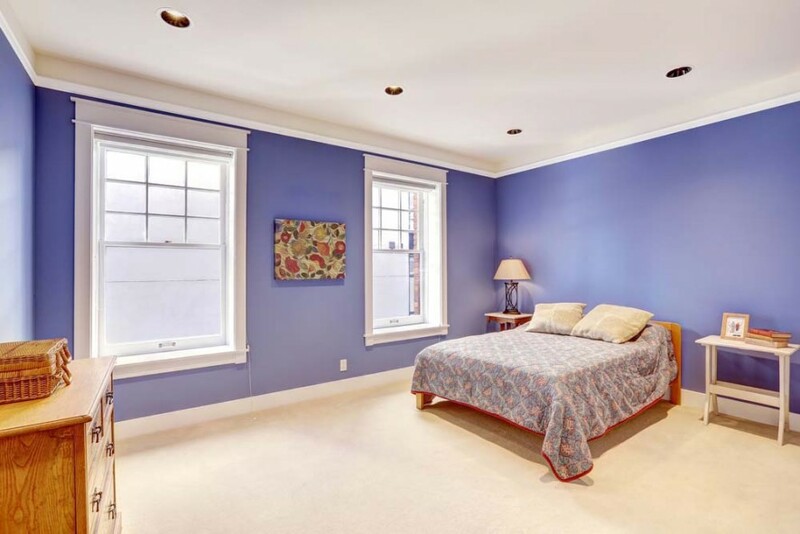 In any home, the bedroom is a personal and private escape from the rest of the home, and the one room you can call your own if you live in a shared home. This is your opportunity and your space to really showcase your own personality, as you are essentially the person that the room has to support. 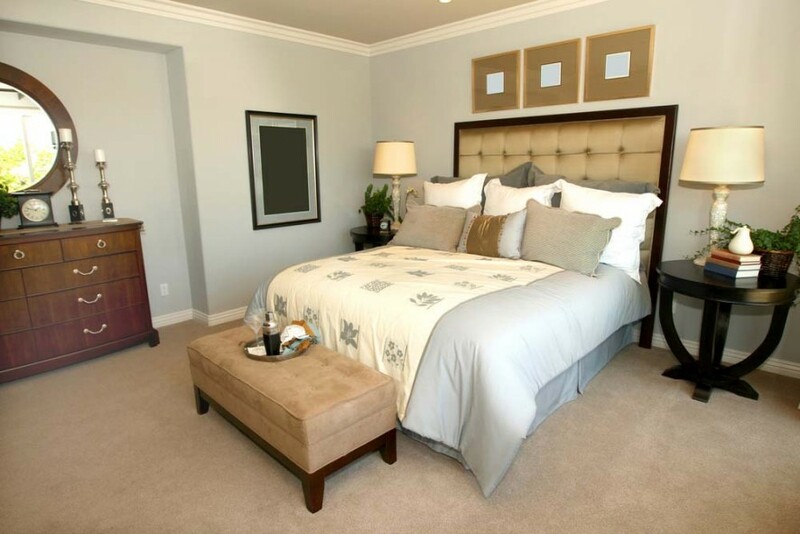 Do you want your bedroom to be passionate, relaxing, or energizing? Consider exactly what you hope to feel when spending time in your bedroom before you make a final decision on the color palette. 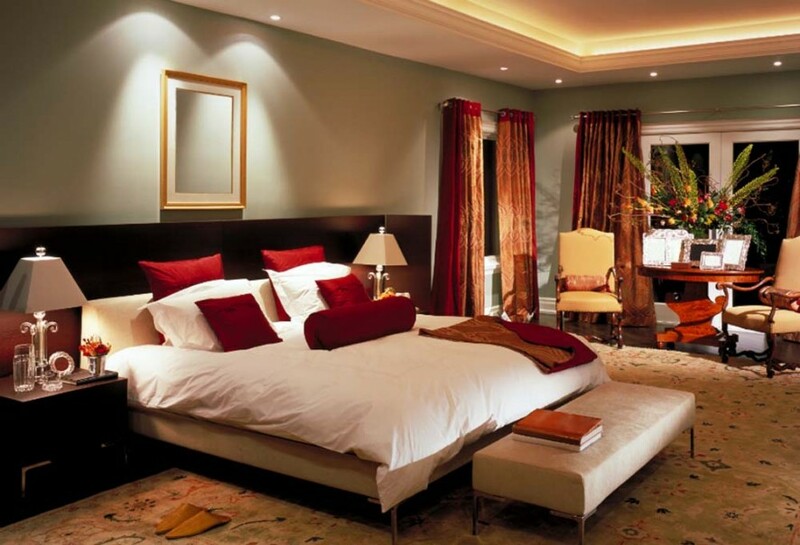 Bedrooms for adults tend to have a completely different design feel and layout, due to its different purposes. 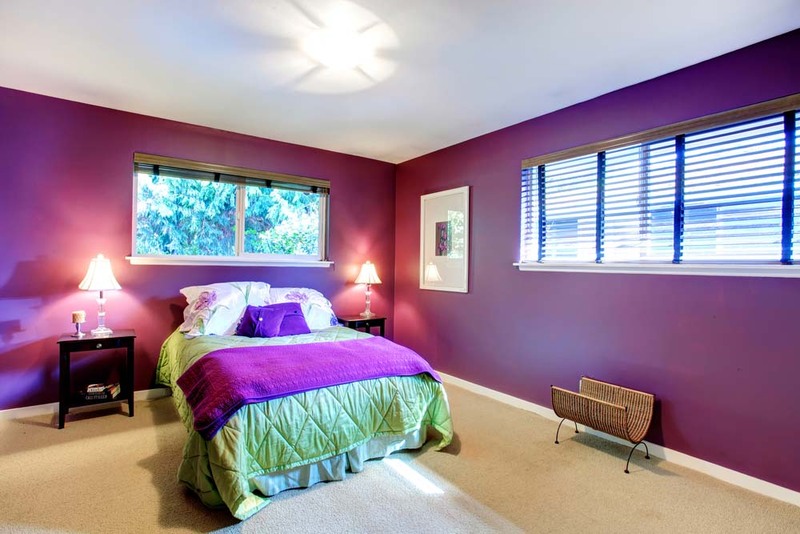 With that, comes a different attitude to color and how it’s used to enhance the feeling in the room. In an adult bedroom, darker colors are far more popular for the passion, intensity, drama, and broodiness they bring to a room. In an adult bedroom we are more likely to apply more complex color palettes that experiment with toned and neutral shades, to be daring and to showcase our own personalities. When it comes to designing children’s bedrooms, we find ourselves being a lot more traditional. Children and teenagers use their bedrooms for a whole host of other functions that adults might not. As babies and toddlers we’re more likely to create a nursery room where parents and the baby can spend time together, with plenty of storage for practical baby items. As they grow into younger children, bolder and primary colors come into play as we try to stimulate our children and give them a space to play and grow their personalities. They begin to take personal interests in things, from dinosaurs to dancing, and we can reflect this in their interior design in order to give them a space that they love, but storage space is an essential element. Not just as a space to store their toys, but so that they have room to move around, room for a desk to study as they grow older, and room for an extra bed if they are to host sleepovers or even welcome a younger brother or sister. 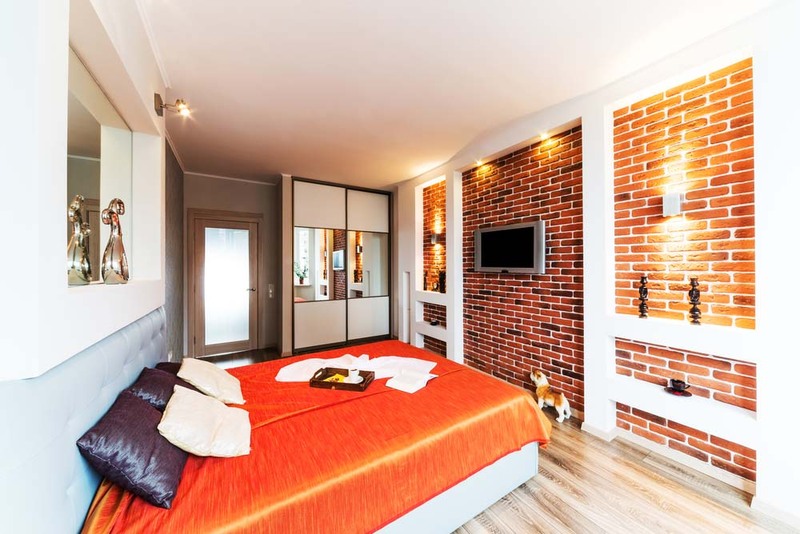 As for teenagers, they tend to become more interested in style and want the color of their bedroom to reflect their personal tastes and current trends. This might be bold color accents, modern furniture, or dark and dingy surroundings, but it’s important that you listen to their views and take their opinions into consideration, eventually finding some middle interior design ground that you are both happy with. 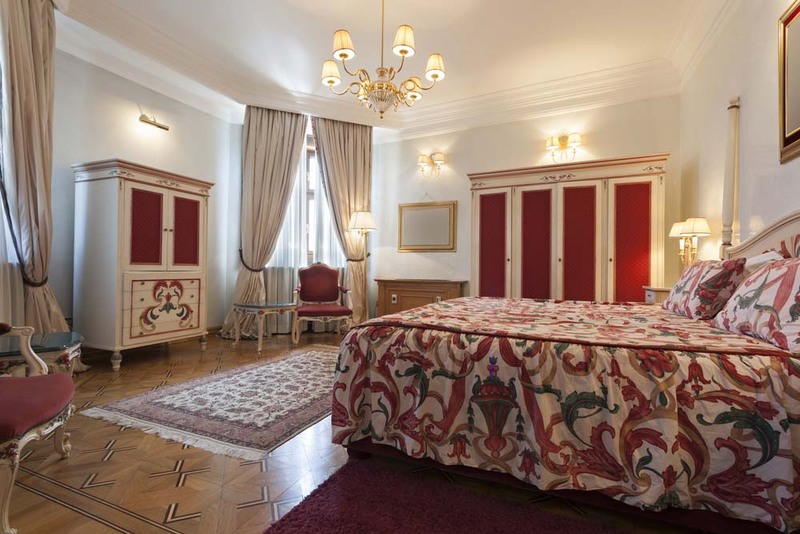 The deep wooden units and accents of rich reds and oranges are what make this bedroom perfect for adult couples. 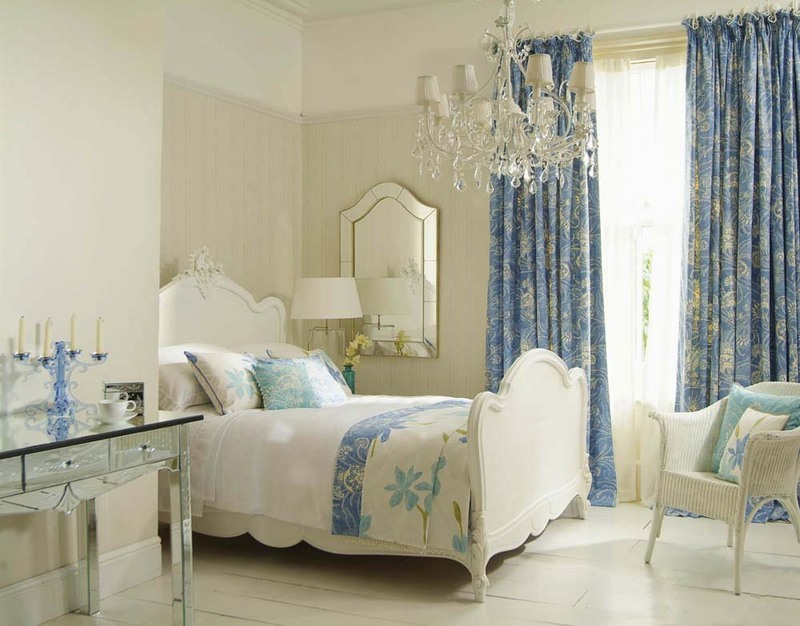 It’s stylish, passionate, and dramatic, but with enough light colours and soft furnishings for comfort. Although this has a very soft and simple colour palette that would appeal to all age groups, the more traditional style of furniture in this stunning room will be more appreciated by adults with attention to finer detail. 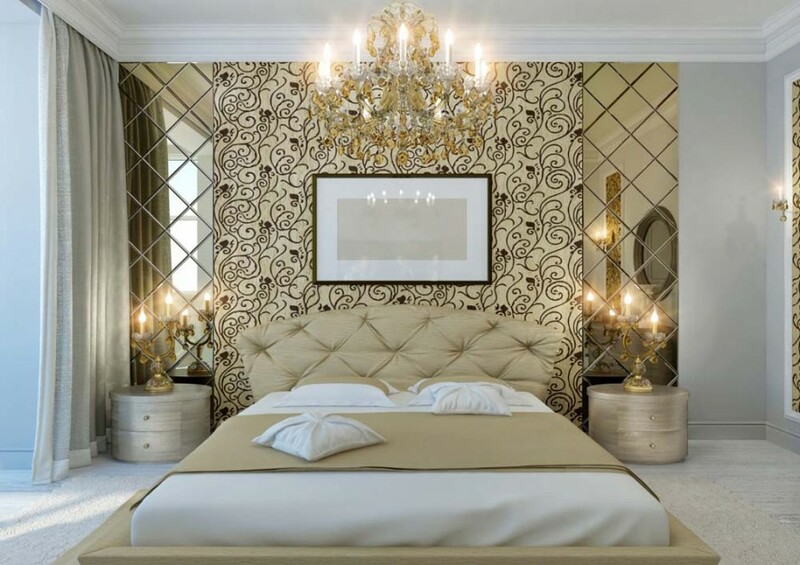 This bedroom emits pure luxury and elegance using bold and metallic champagne tones mixed with soft whites. Lots of glittering light and metallic surfaces amplify the colour magnificently. 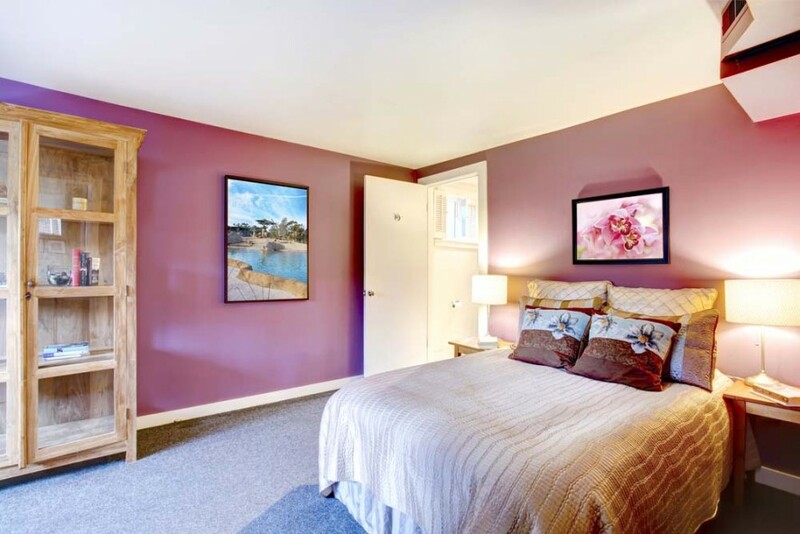 This adult bedroom has added a childish charm by adding fun and light splashes of pink and purple colours in a very soothing and rich colour palette of brown, cream, and reds. This bedroom has struck the perfect balance of a warm chocolate tone and calming sea colours. Mixed with whites and creams to lighten, the colours in these bedrooms make an impact but provide a cool and collected place to relax and unwind. 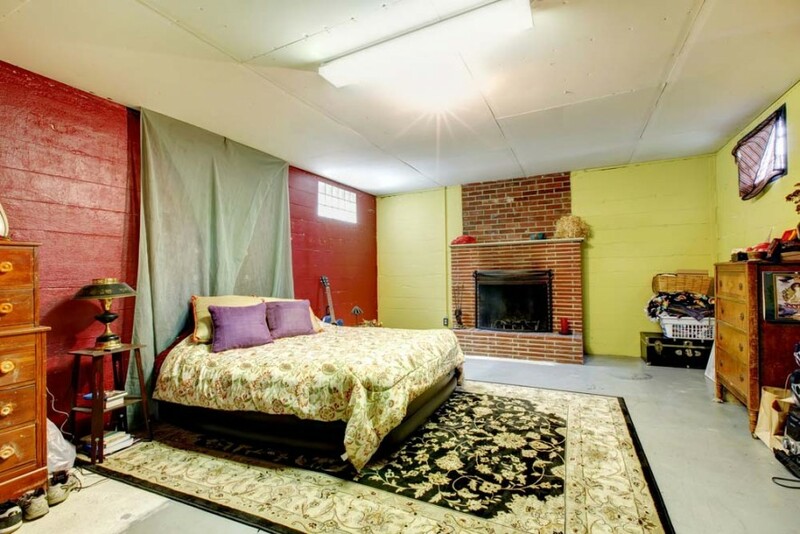 This relatively low-key bedroom packs much more of a punch when looked at in closer detail. Soft blue and lilac tones act as softening agents in a room that is punctuated with a mix of modern and classic furniture of an inviting dark brown coloured wood. 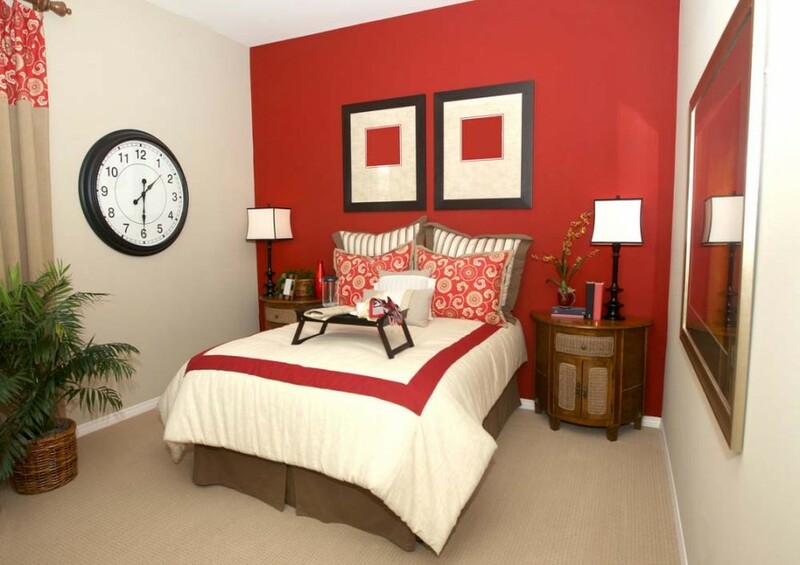 Red can be a difficult colour to add to your bedroom if you prefer a subtle atmosphere. Balance out heavy red tones with lots of soft furnishings and contain your colour with a great feature wall. Do you love spending time outdoors in the summer? 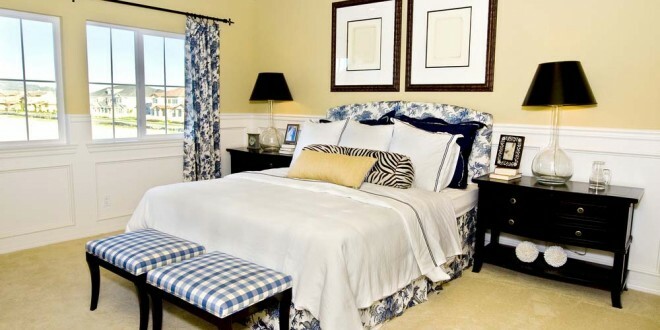 Bring some of that joy into your bedroom by going with a bold blue and yellow colour palette. Mix up textures and shapes for more complexity and depth. Often colours come with their own rules and feelings attached.  It’s possible to change this however. 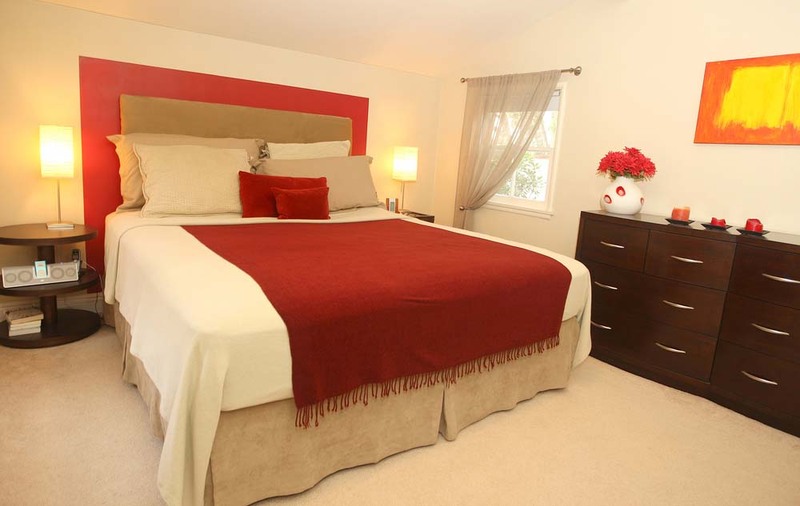 For example, look how this sort red throw with tassels adds a softer and more comforting element to this bold red bedroom. 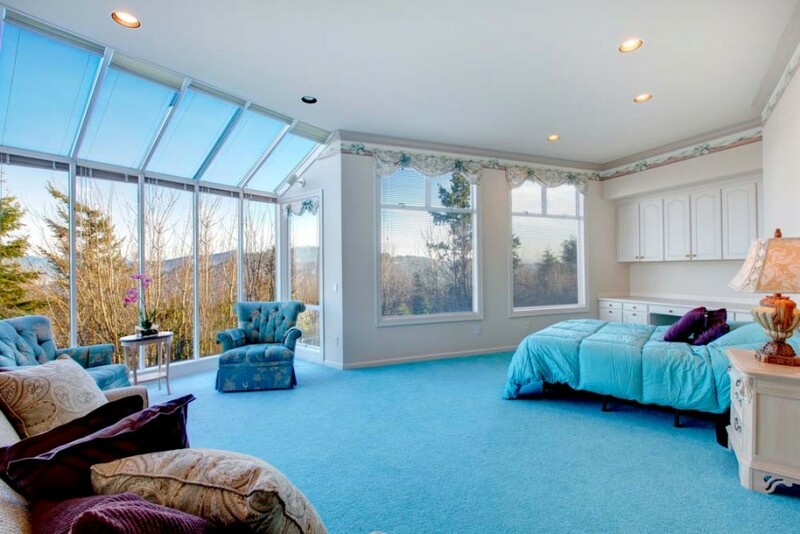 Having a room with a fantastic view and lots of natural light can be an interior design blessing, but you need to consider this when planning any home makeovers. In this room, the classic and soft colour palette complements the sky outside and doesn’t detract any intensity from the vast and stunning views. This traditionally feminine room with a pink colour palette and soft, floral décor keeps things modern and stylish by adding texture through soft furnishings and a Scandinavian style pine storage cabinet. The richer tones of purple and green in this room remind us of amethyst and emerald jewels. The gorgeous bedside lamps make up for the lack of natural light coming into the large room, but the scattered light effect amplifies the nod to precious stones. 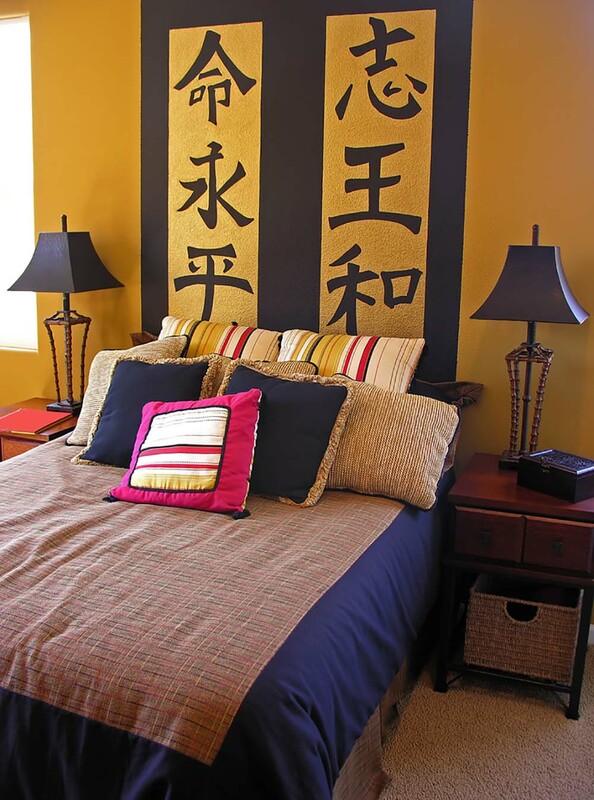 Many think that oriental style must come with a very limited colour palette and minimal design. This rich and sumptuous bedroom tells us otherwise, and we love how the rich yellow and blue tones are balanced by neutral brown and cream textures throughout. This delightfully shabby bedroom has a very functional edge to it, matching furniture and textures from different style areas to create a ‘patched together’ look, but using creativity, fun, and personality to make it work excellently. The red brick fire is a fantastic feature and although no longer in use, provides a great splash of contrasting colour and texture to the room. The shabby chic trend emerged a few years ago and is showing very little signs of diminishing any time soon. This room has perfectly executed a mix of blue, pink, and white pastels to create a soft environment that is homely and welcoming. The funky shapes of this room and the soft furnishings, mixed with bold brown and yellow tones, remind us of the swinging sixties interior design style. Very futuristic in parts, but very vintage chic in others, this colour palette is imaginative, fun, and alternative. Earth tones don’t have to be boring. See this example as living proof that muted tones of brown, green, and orange can work together for a very warming and comforting bedroom atmosphere, which is only helped by plenty of plush cushions and soft furnishings. If patterns are your thing, don’t shy away from them. 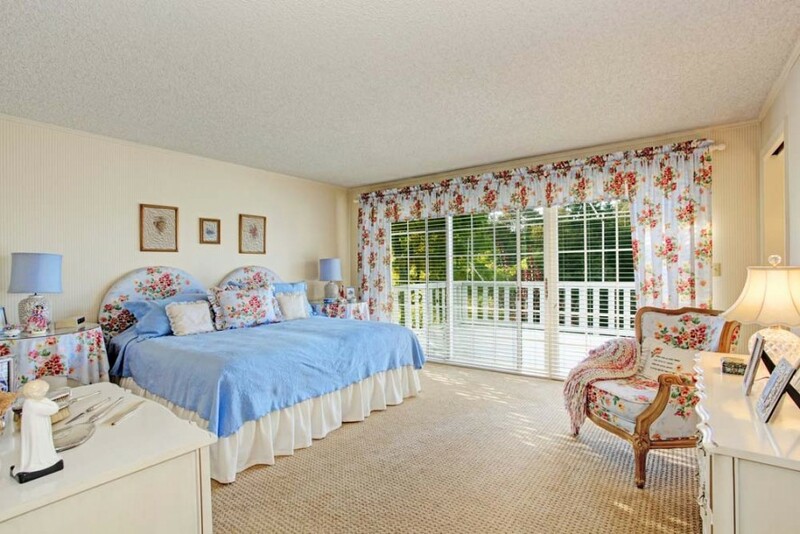 In fact, own the pattern and embrace it in more than one space in your bedroom. This abstract and fun pattern of red, green, and gold has been recreated on hard furniture and the colour palette runs through the entire room. If you have one colour you’re a big fan of and want your room to reflect that love, go crazy with the paintbrush and paint your entire one shade. Just remember to use accents of contrast to either lighten, like these white accents here, or darken the room as required. Although wall colour is important, sometimes we need to take a step back from it and let other parts of the room do the talking, or shouting. This brick wall is the strongest feature of the room and the other walls go unnoticed, which helps the room to balance and put our focus where it needs to be. Looking at yellow paint? 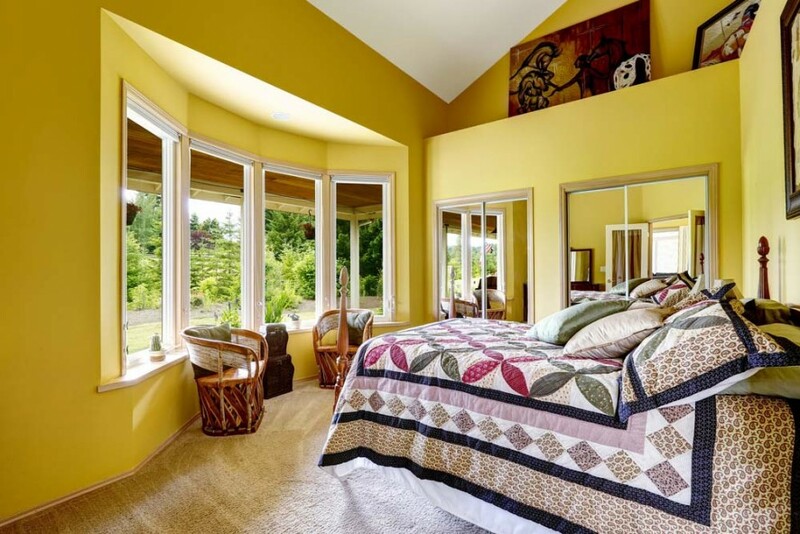 Don’t feel like you have to veer towards mustard or cream colours for painting your walls. 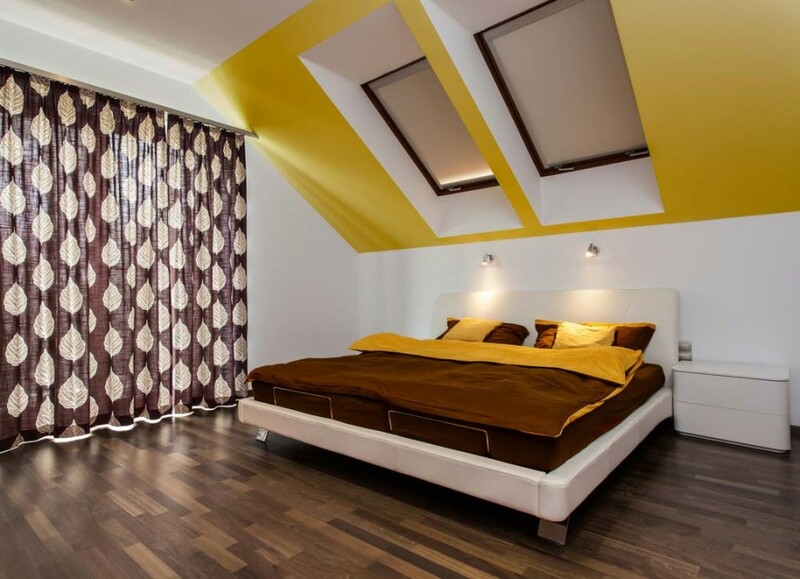 Brighter yellow tones can look fantastic and shouldn’t scare us.